Tekashi69 has officially released his new album, Dummy Boy, despite the premature leak. Tekashi 6ix9ine says that he is disappointed that his new album was leaked over the weekend, but he still thinks that his fans deserve to hear it, so he released it on Tuesday afternoon (November 27). 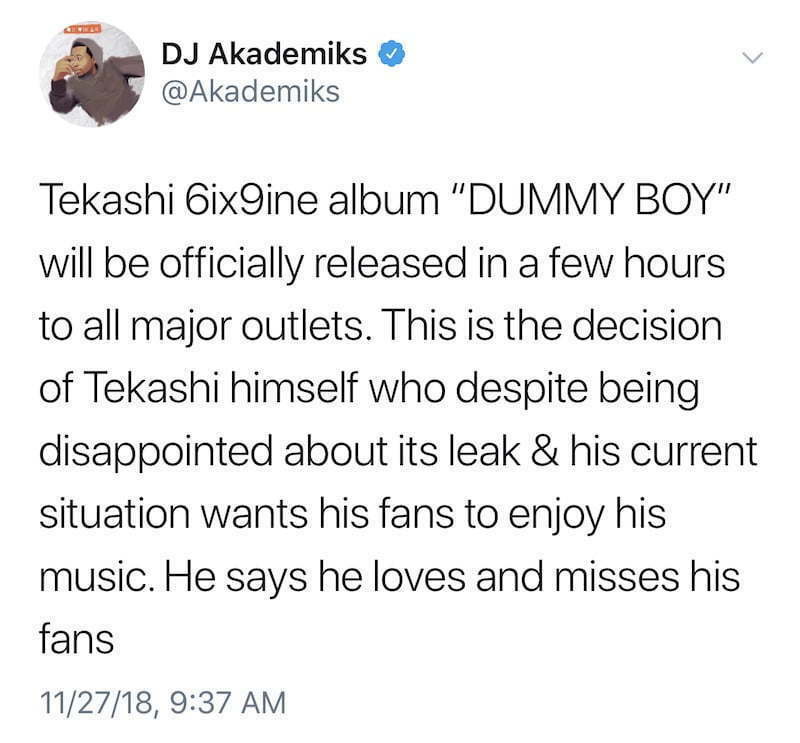 The entire album, Dummy Boy, was leaked presumably by 69 or someone in his team since it first surfaced on his website for $6.99. The project was quickly yanked from the site but not before some fans grabbed a copy of it and then distributed it online. The Brooklyn rapper is currently behind bars awaiting his fate after prosecutors laid out a strong case against him. Tekashi69 spoke to his friend DJ Akademiks from behind bars and told him why he decided to officially release the album despite his incarceration and it leaking online. Dummy Boy was slated for released last week Friday but was delayed due to Tekashi69’s arrest. The project was then leaked online on Saturday, sending the internet into a frenzy. With the looming release, it’s a guarantee that the leak will affect sales since some fans have already listened to the project. The project features guest appearances from Murda Beatz, Tory Lanez, Kanye West, Nicki Minaj, Bobby Shmurda, Gunna, Lil Baby, A Boogie Wit Da Hoodie, and more rappers who come together on a 13-track compilation. We will post the album after iTunes publishes it. 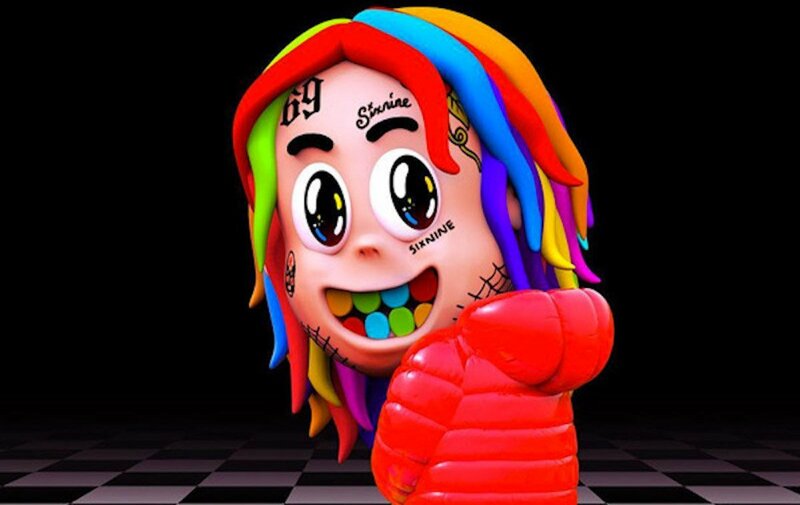 Stream Tekashi69 new album Dummy Boy on SoundCloud below.